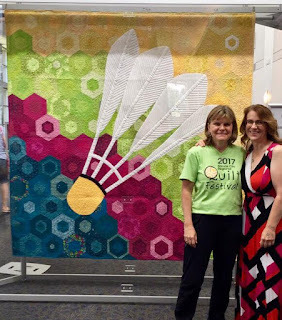 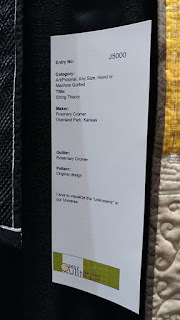 Last weekend I was able to attend the Kansas City Regional Quilt Festival! 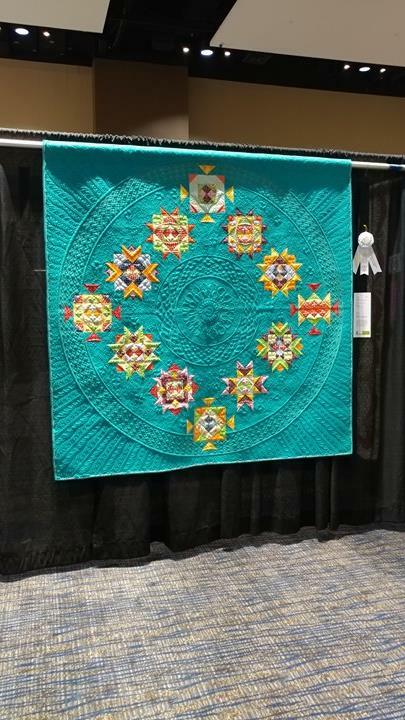 It was my first time attending (it's only their second time having the show! 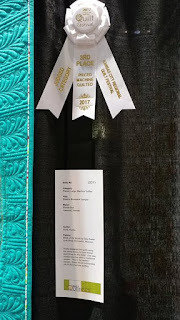 ), and it was well worth the drive! 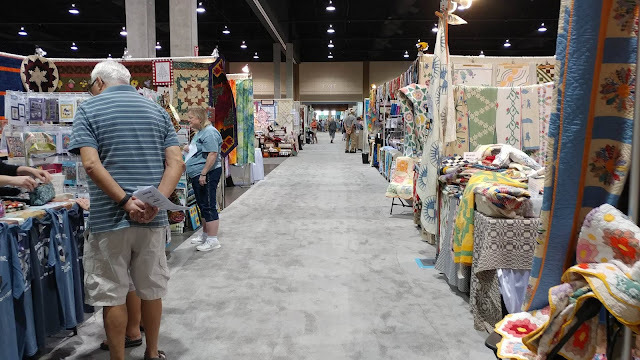 The show is held in odd years, and has both a quilt show and vendor hall. The show is Thursday through Saturday, and my mom and I went on the last day. 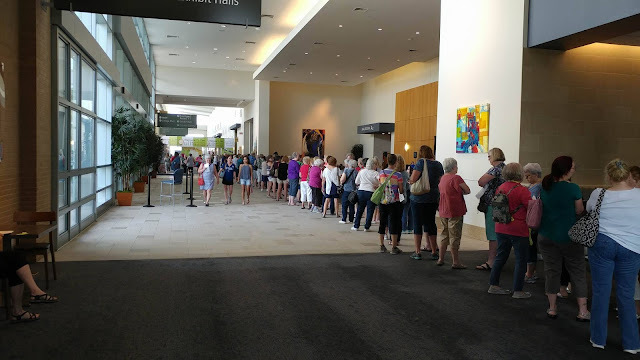 We arrived just before the show started, and I was taken aback at how many people were waiting to get in! 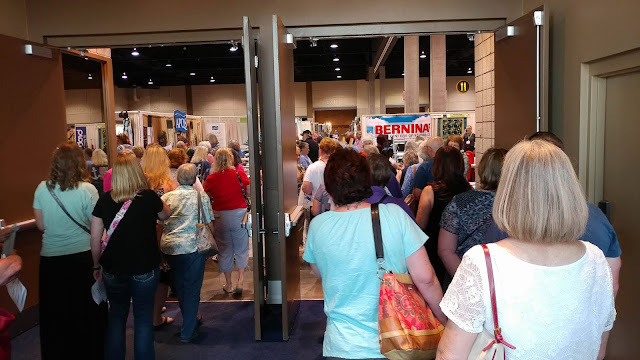 There were hundreds of people! 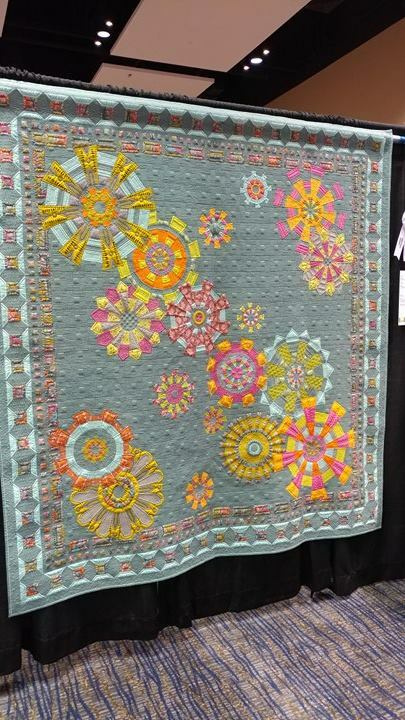 The show map listed 143 vendors. There were booths for quilt shops, pattern designers, antique quilt vendors, jewelry vendors, and many more! 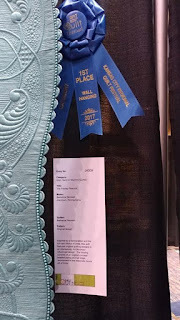 After getting home, I realized I didn't take many pictures of the booths! 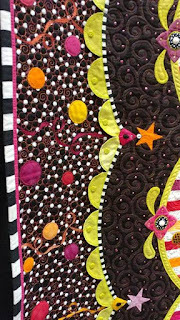 (I am so easily distracted by fabric!) 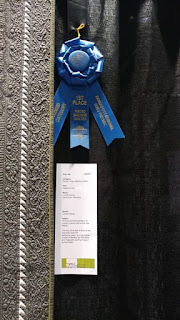 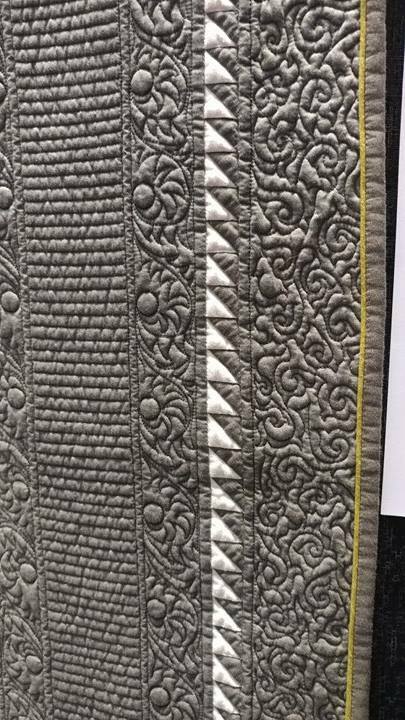 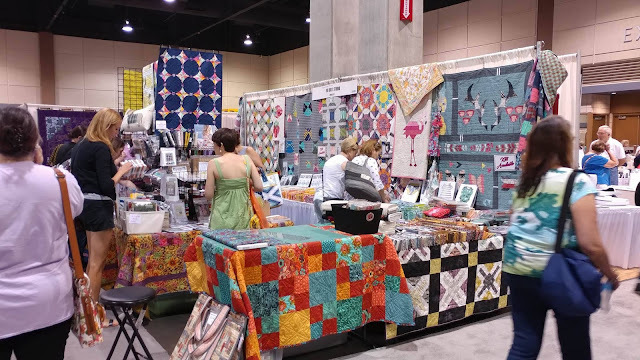 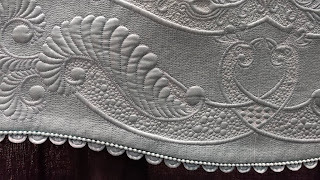 I had several favorites including the booth for Sarah's Fabrics from Lawrence, KS, the booth for Pineapple Fabrics from Archdale, NC, and the booth from Modern Quilter from Omaha, NE (shown below). 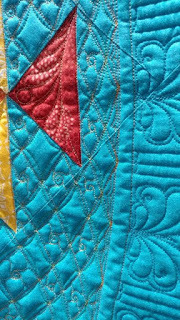 There were several classes and demonstrations going on too, but we didn't partake in those this time. 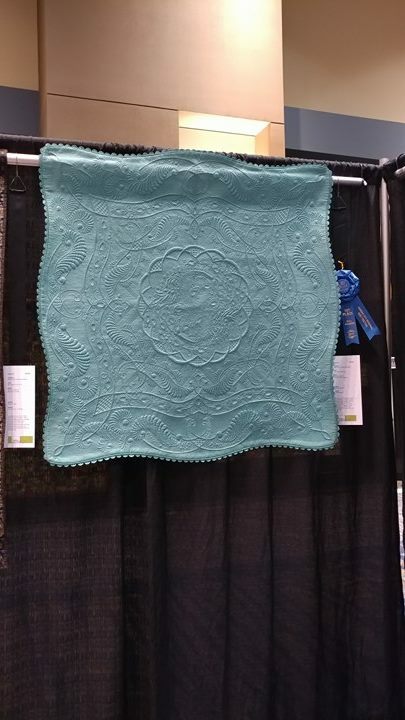 I would love to teach a class at the next show! 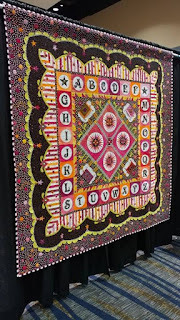 I'm adding that to my bucket list! 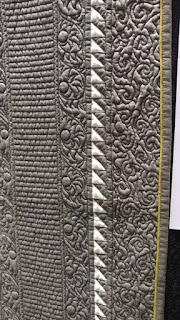 I was also able to test out a couple different brands of longarms - add that to the bucket list too! 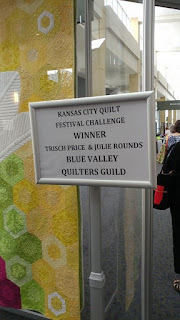 There were also a couple special exhibits of quilts, but there were no pictures allowed of those. 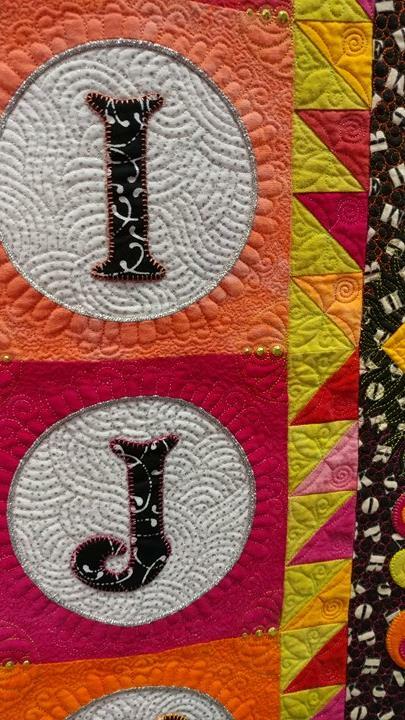 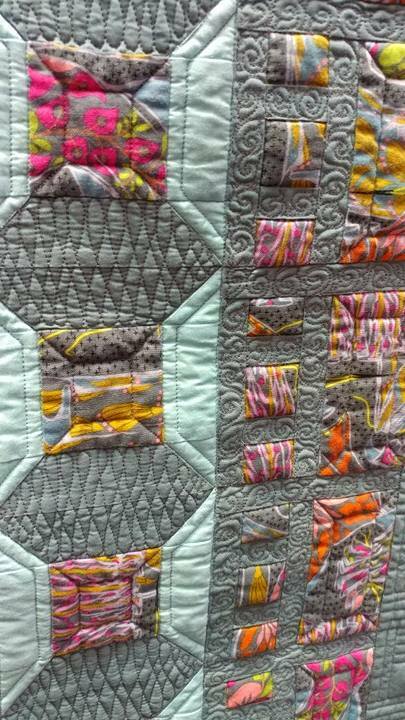 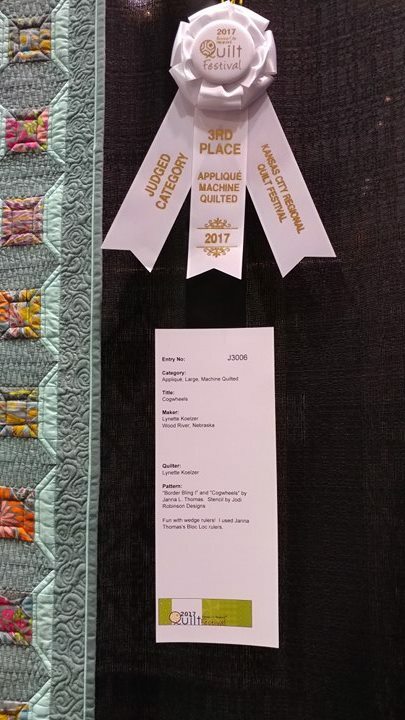 The quilts entered for the show were stunning! 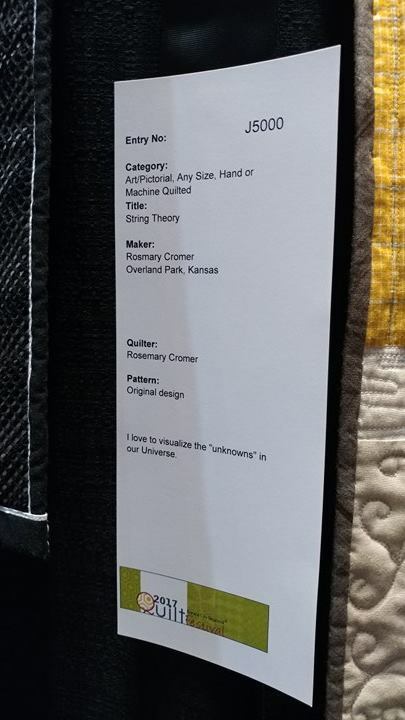 So many talented local-ish makers! 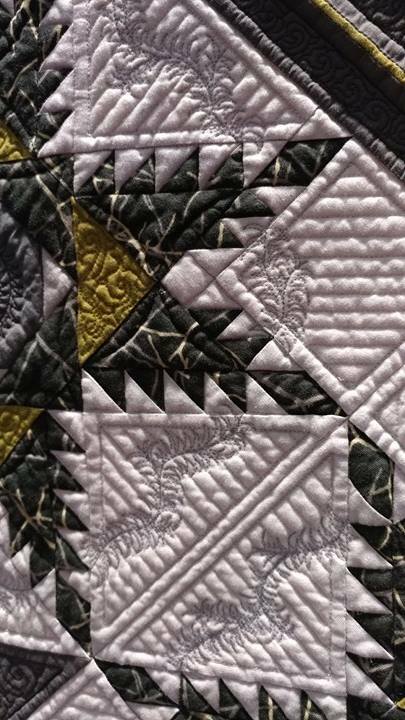 Here are just a *few* of my favorites. 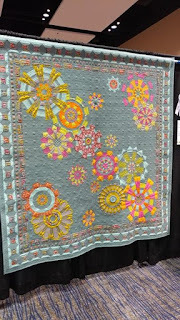 Oh, and I just happened to run into Tula Pink wandering the aisles of the show too! 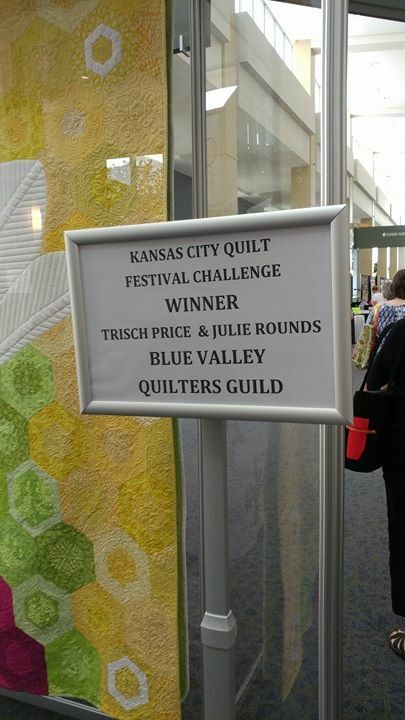 I really enjoyed attending the KCRQF! I'm hoping to be more involved in the show the next time it comes around! 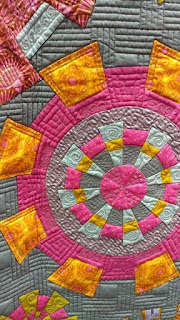 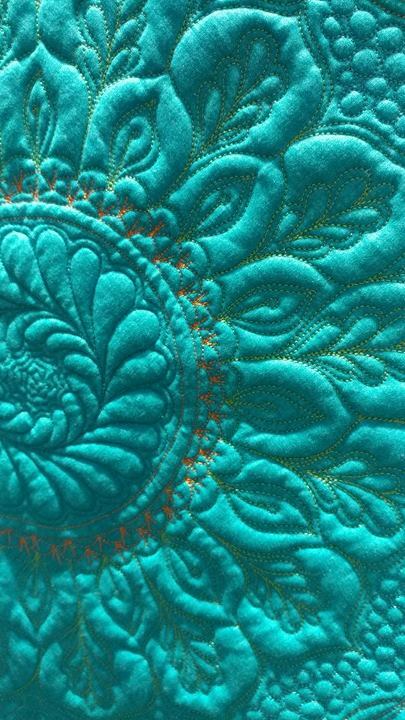 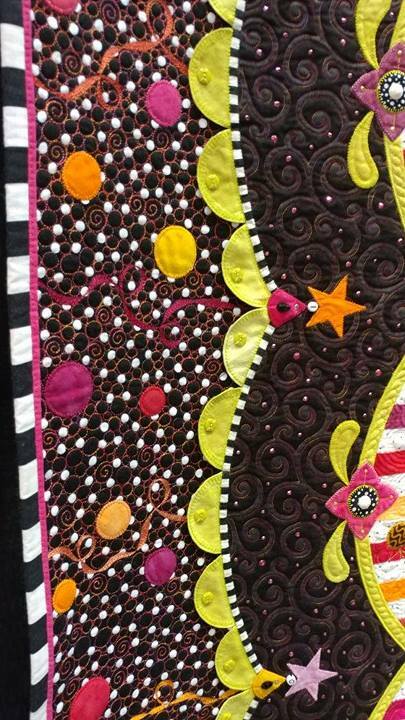 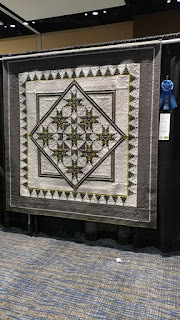 Have you attended any quilt shows lately? What do you like to see and do? 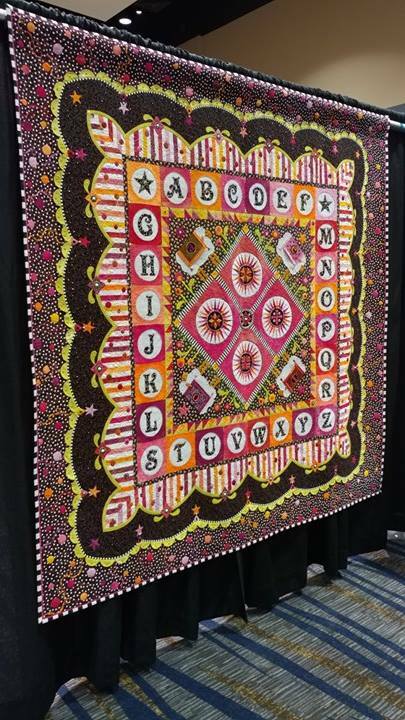 I love shows and what fun to run into Tula Pink! I have always found those early lines quite shocking but hae learned to prepay if its an option! 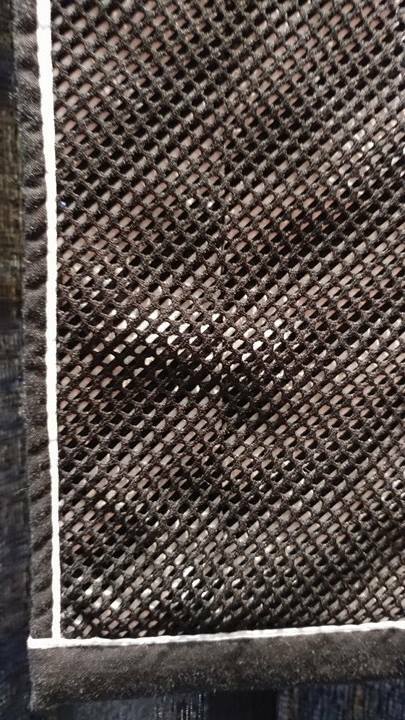 Also the right change always helps. 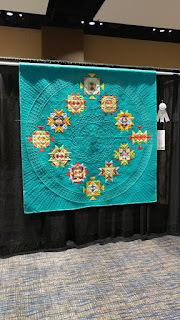 Haven't gotten to any shows lately - there are a few in my area I may put my mind to, but some downsizing and a move is coming up quickly so I would have to be really, really good about getting all that done! 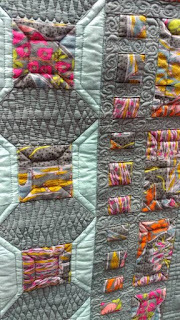 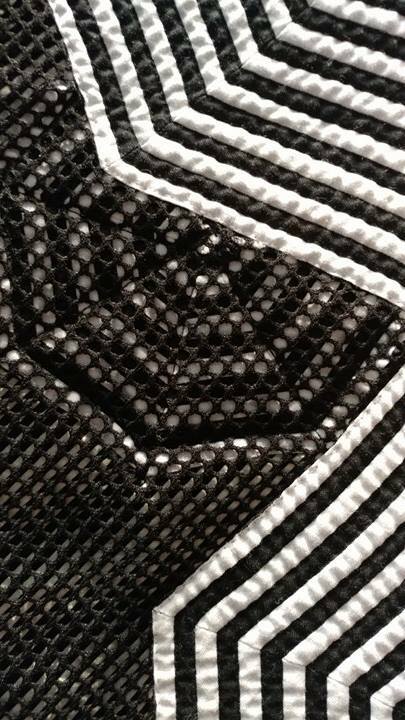 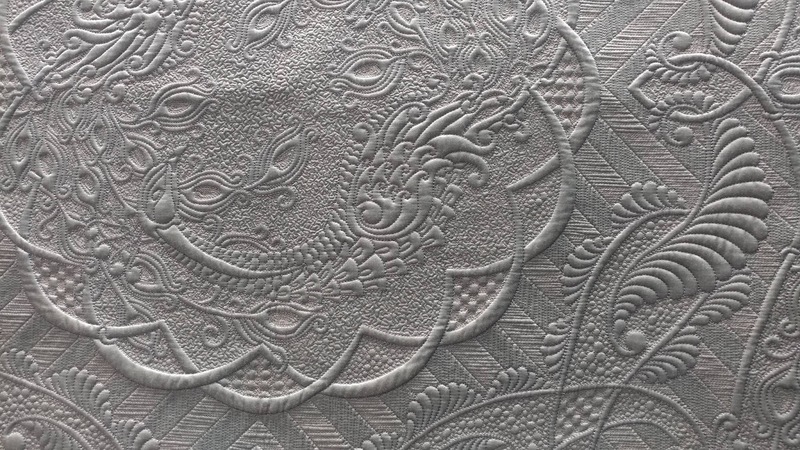 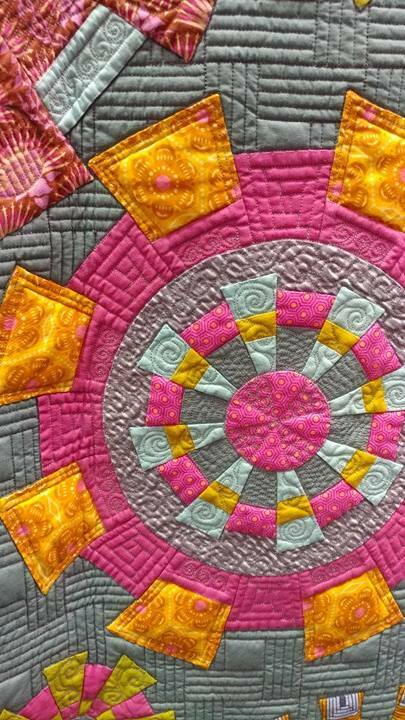 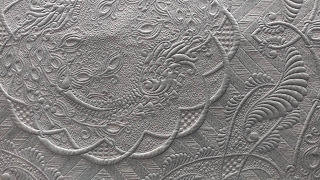 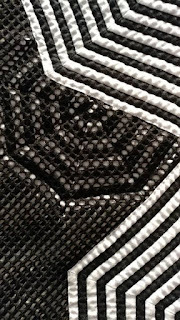 Amazing quilts!!! Looks like a successful show. Sounds like you & your mom had a great time. 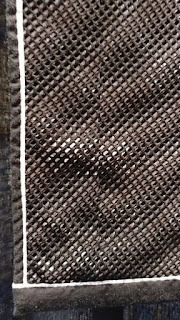 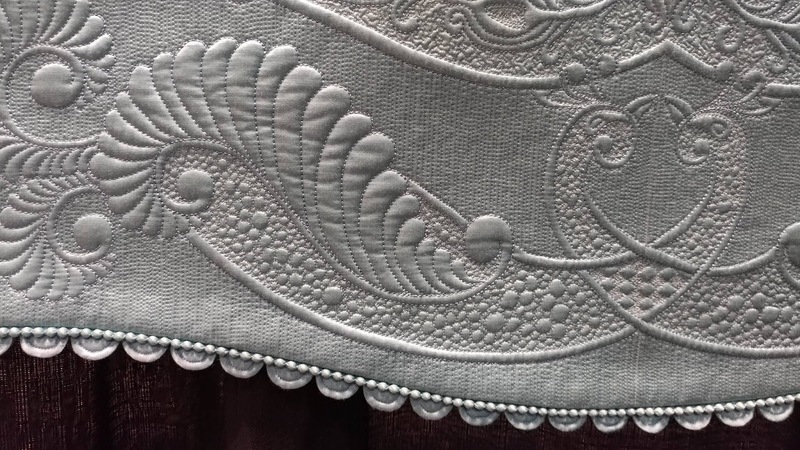 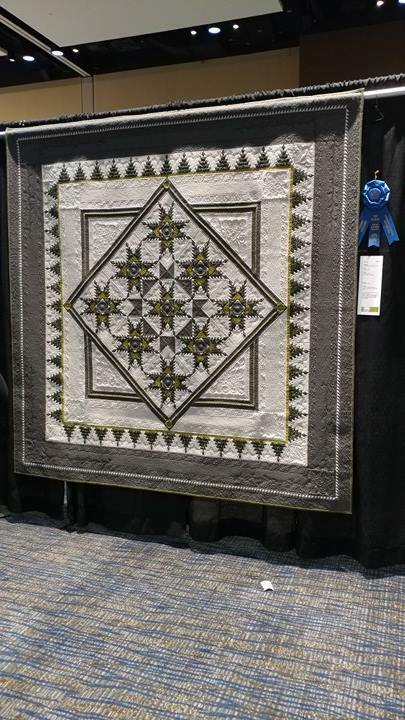 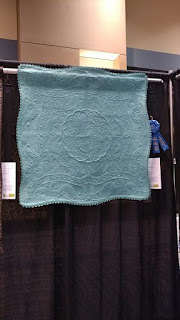 I missed our Minnesota Quilt show earlier this month, due to an accident. 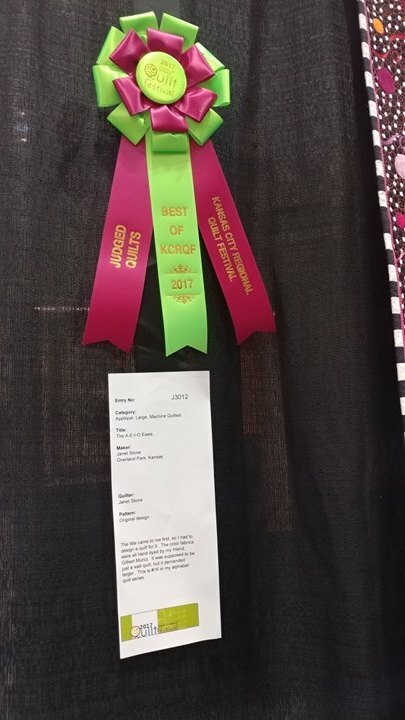 But I'm looking forward to the county fair and state fair, coming up in August.